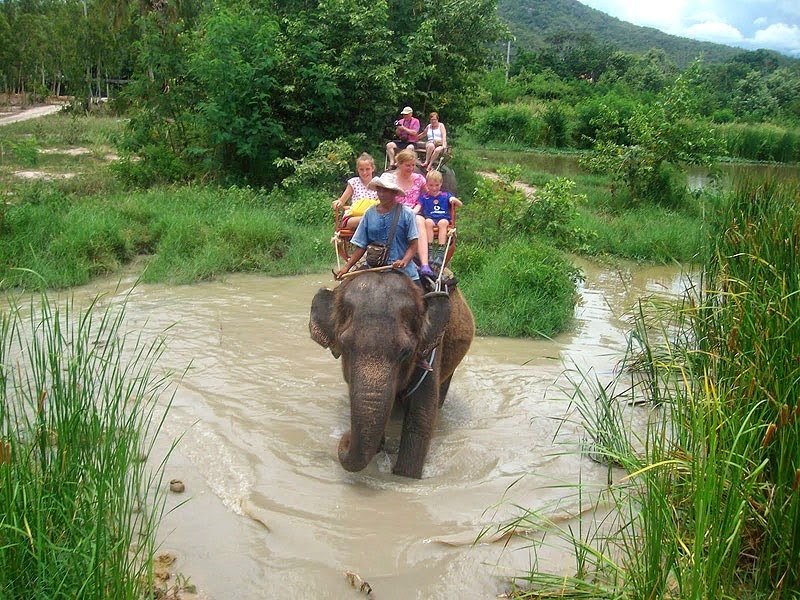 Elephant riding has become an integral part of all tourists' visits to Thailand. Well-trained elephants can be ridden through local villages and surrounding forests. Tourists can experience elephant riding and arrange for an elephant tour at the many elephant camps around the country. 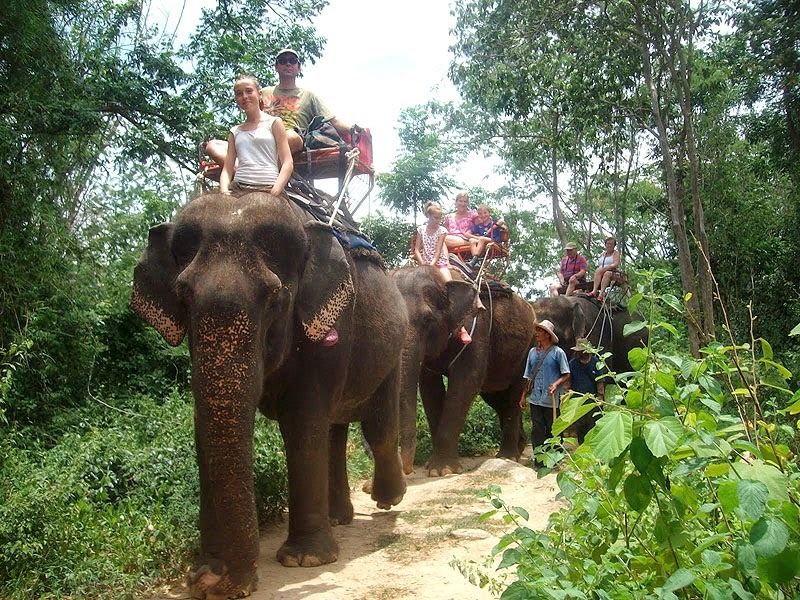 Elephant treks are available in several places in Hua Hin Thailand. 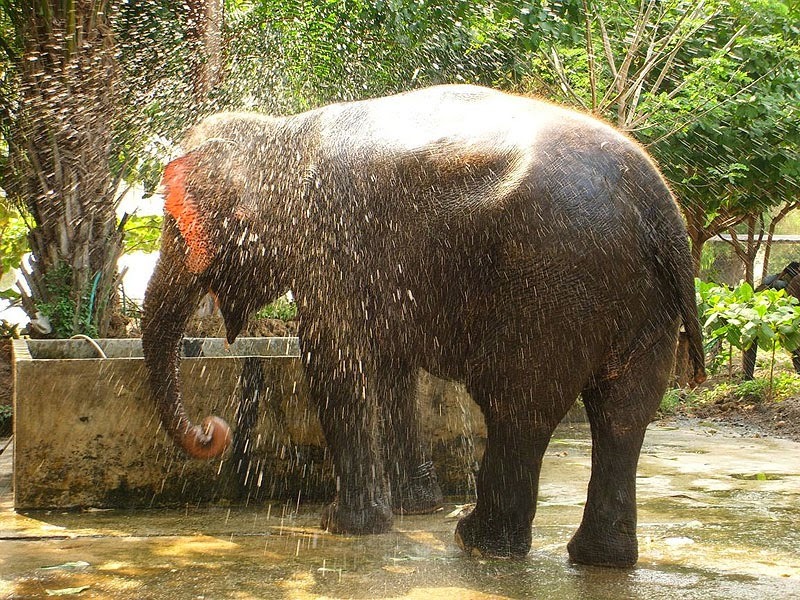 Moo Baan Chang or Elephant Village, Pang Chang Hutsadin, Hua Hin Safari and Adventure Park, are popular destinations for those looking for a little elephant based adventure. The price varies at each place, but approximately is around 500 bath/30 minutes and 1,000 baht / 1 hour. Hua Hin offers its guests a good experience in this field. At different elephant camps, the area surrounded by hills and forest offer some of best trekking in pristine natural surroundings. Why not ride through the jungle on an elephant and visit stunning nature? This will appear tempting to nature lovers as you will get to closely experience the true nature while sitting on an elephant's back! At most of the elephant camps, you can also enjoy various interesting elephant shows. It is nice to experience these shows just to learn that elephants have quite a great deal of ability to learn new skills. They can do many things that you won't even imagine them to do. Soccer and dancing? Those have already been mastered. How about basketball, mouth organ, drawing and painting? Sound interesting enough? But, of course, coming here, you will surely be invited to take a short journey on one of the monstrous animals and this is the real excitement.It is an exciting experience when you get to stand directly beside an elephant and can closely look at it. Apart from the facts that the elephant is really big and tall you will get to know that an elephant does not stand still. To take a ride, make sure that you're really ready and want to go for it. In order to get up to the elephant's back you will have to climb up a ladder, and then stand on a platform before you get onto plank seat. Next step is to clutch the sides of the seat with a tight grip and the journey shall start. Be very careful and make sure you sit and hold the seat properly. But don't worry, you won't be all alone on the adventurous journey, a man who is going to drive the elephant will be seated right behind the elephant's head to control it. Yes...each elephant generally has one person who acts as his driver, keeper and best pal. The man is referred to as a 'mahout'. However, don't get scared if the guy utters an ear-piercing scream and swatted the elephant's ear with a big stick to make it move. That's the way it is at most the camps. The path in which the elephant and the mahout will take you may be different at each camp. There will be a particular path through which the elephant will walk and they might also step into a small lake, walk through the forest or give you a tour around the elephant village which is usually there in almost every camp. Here, visitors can immerse themselves in the culturally enriched trip by learning about the lifestyle of both elephants and the mahouts. Well, the trip might not be really enjoyable if you are going for it with fear in your heart. So make a good decision before you get onto the elephant's back. Some people might just change their minds just before getting on the elephant's back and remain firmly glued to the platform. But that's better than changing your mind while you're on the back of a moving elephant. Elephant riding is actually quite safe as you have an experienced mahout controlling the animal and taking care of you. Accidents could hardly happen. However, if you find it scary or too risky, you may avoid this activity and just enjoy elephant shows from a good distance. You might be wondering where these elephants come from...the answer is that they are from many places throughout the country. These elephants are taken by the mahouts from the forests and they eventually become life partners who very much depend on each other. Elephants had long been inextricably connected to Thai people in different ways. However, elephants have another role that is commonly known among Thai people. An entertainer! As the matter of fact, they are quite an entertainer and love to be the center of attention. Thailand travelers. Many even say that no visit is complete without this adventure. For those who love adventurous activities, this will give you the new feeling as a reward after your hard work and all the efforts you take to come so far to this country.